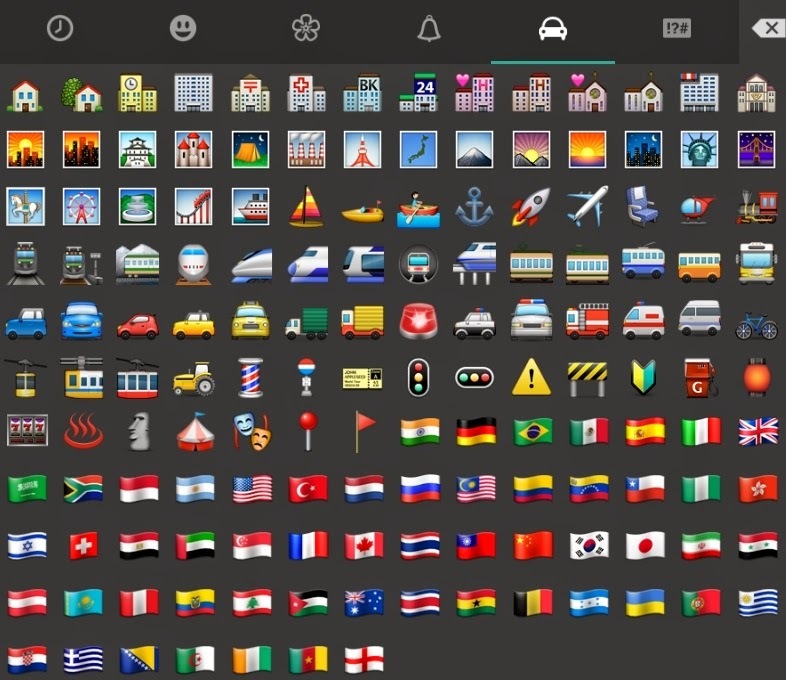 WhatsApp has a large and unique set of smileys or emoticons. 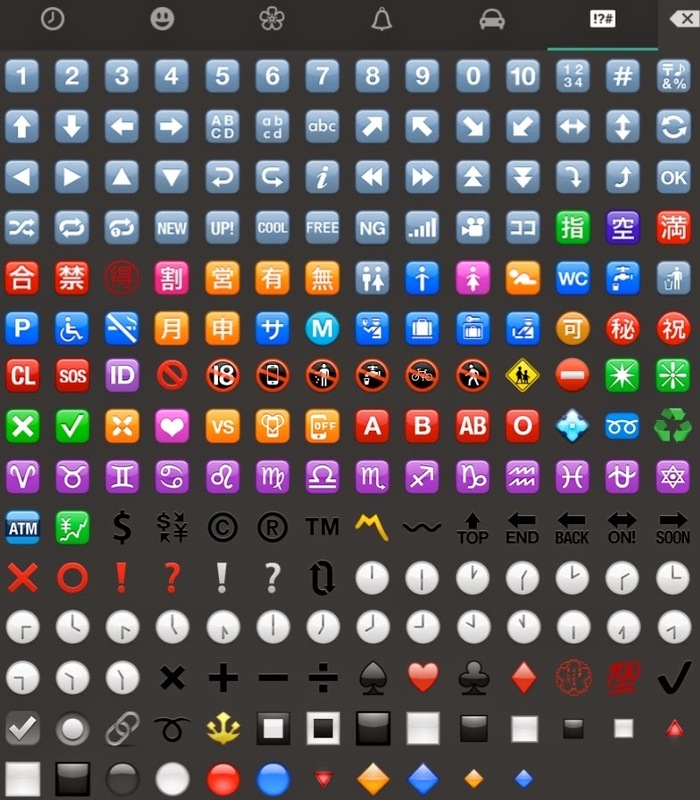 It is classified into 5 different sets such as People Emoticons, Nature Emoticons, Objects Emoticons, Places Emoticons and Symbols Emoticons. There is also another section in the category menu at the top. 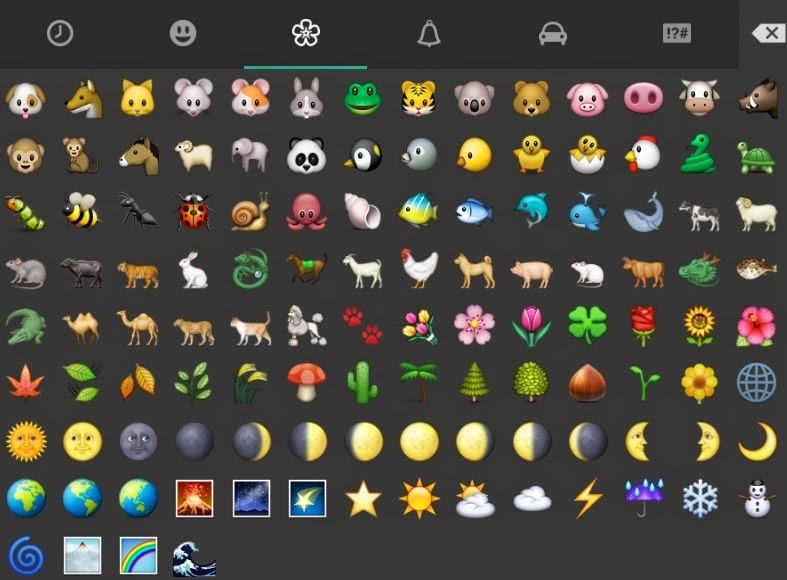 That is the last used Emoticons. Currently WhatsApp does not included emoticons for iPhone by default. 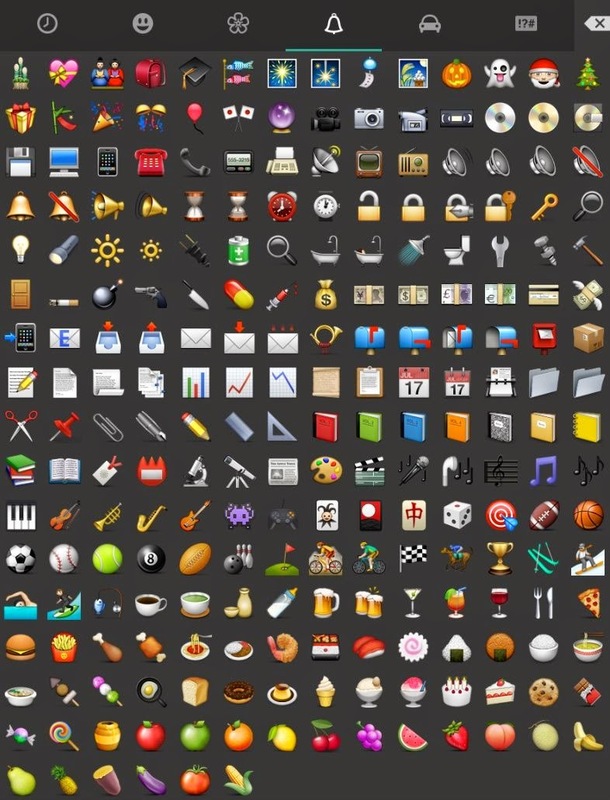 But the iOS users can get emoticons by using emoji keyboard. 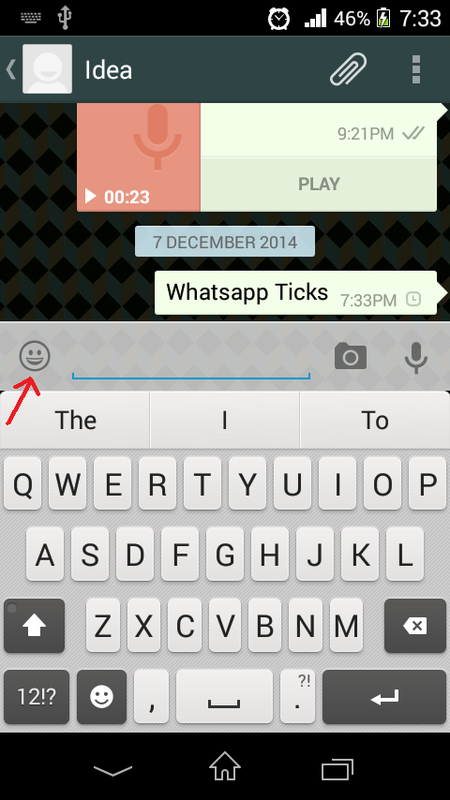 Emoticons in WhatsApp for Android. 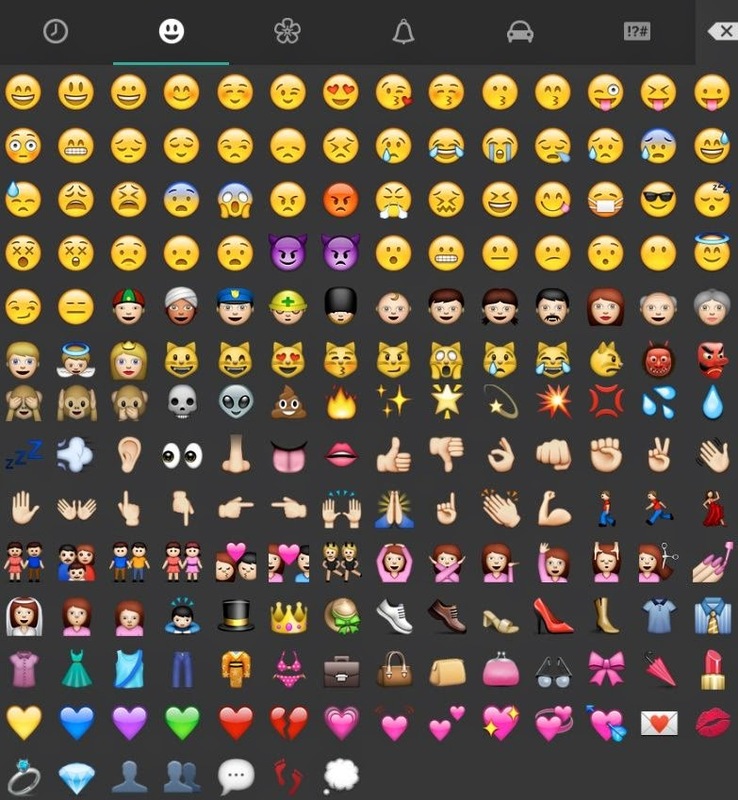 Emoticons are present in Android versions by default. It can be accessed by pressing the smiley symbol on the top left corner in the keyboard.